Twenty five years ago a patient told me that. I was the expert–what was the answer? The answer then is not the answer now. After years of research scientists understand bruxism and what makes it happen in some people and not in others. During the night, we switch off our defense mechanisms in our brain and we dream and relive our day’s activities. When we do we release our stress by ‘grinding our teeth’. One doctor at UCLA told me stress is released three ways: high blood pressure and heart attacks, ulcers, and grinding. He hopes his is the grinding type for obvious reasons. He’s right. But you don’t have to ruin your teeth in the process. Stress is part of life, whether we like it or not. Stress release is necessary for our sanity. If you grind your teeth it will show up during a dental examination and it will be good to know you release your stress in a way that won’t cause stomach problems or heart problems. We don’t want to keep you from grinding your teeth at night. We just want to keep you from destroying them over the years. These past few years I have come across a number of patients taking antidepressants and sleep aid medications. Their grinding and clenching is a side effect of the medications. And it is severe. I highly recommend preventative treatment of bruxism with these patients because the amount of damage is fast and severe. I have even seen fractured crowns from this condition. An appliance that is custom made fits over your bottom teeth and is made of a soft poly vinyl material. As the person grinds back and forth over their teeth during the night, the material protects the upper teeth from the lowers by separating them with a soft non traumatic cushion. 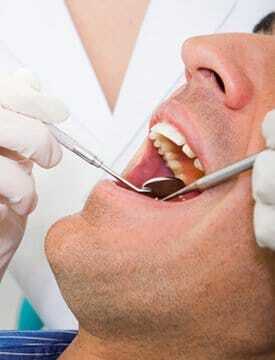 If you clench down hard during the night, and put stresses on teeth, they can crack and chip. The soft shock absorbing effect of the guard will protect your teeth for years to come. I would rather wear a simple well fitting soft cushion over my teeth than take a pill every time I want to eat to keep my stomach from hurting. It’s better than heart medicine every day or living with the fear my stomach could start bleeding. Turn that lemon into lemonade and keep your teeth healthy for a life time.